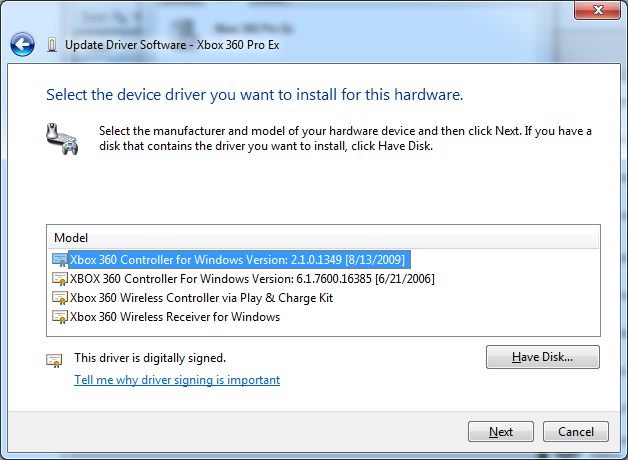 Following these instructions from Microsoft my aftermarket Xbox 360 controller is not working on Windows 7. Any suggestions? Select "Let me pick from a list"
Not the answer you're looking for? Browse other questions tagged windows-7 windows-8 drivers xbox360 or ask your own question. Will this xbox 360 receiver work on OS X? How to navigate Windows 10 with an Xbox 360 Controller? How to connect one Xbox 360 Wireless controller to PC and Xbox 360?